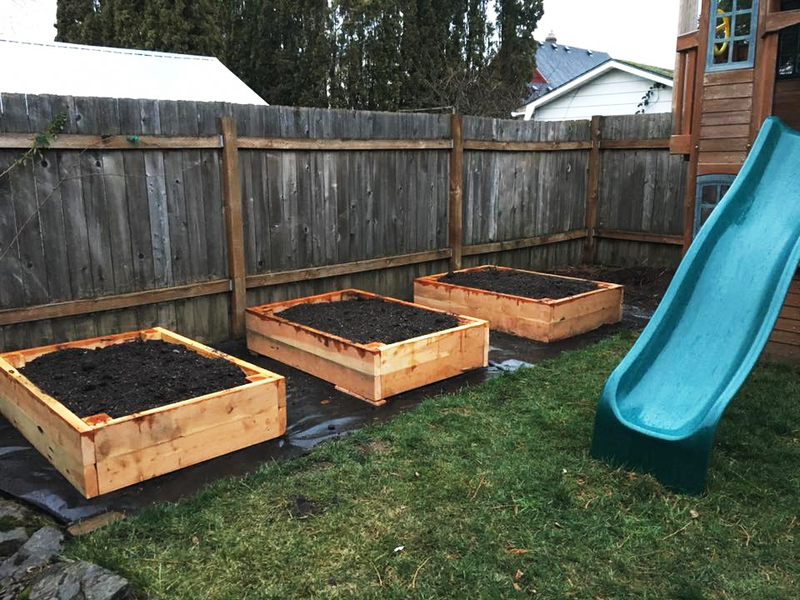 We completed this backyard edible paradise for Jenn in the summer of 2017. 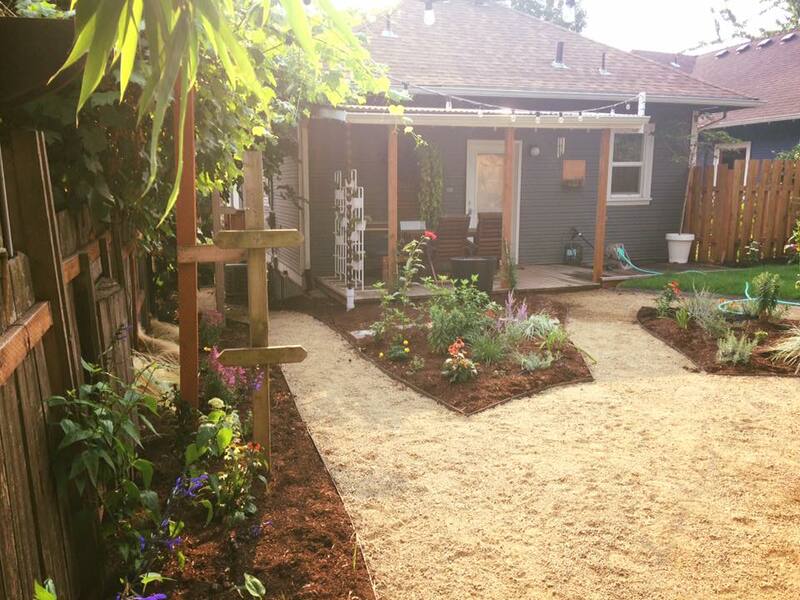 We mixed edibles and flowers to make a welcoming and relaxing backyard. We still were able to leave a nice left a patch of sod for the dog and comfy place to lay down, as grass can still have a place in the backyard. We used crushed granite for the pathway to the edibles, granite is a fun alternative to river rock and ¼ minus compacts better.